Do you want high-quality sports headphones? When choosing MDR-EX110AP and you can't make a mistake. 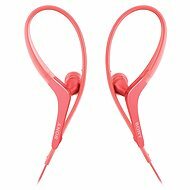 The lightweight and stylish headphones offer great sound quality and high user comfort. Neodymium drivers with a diameter of 9 millimeters ensure that you can really enjoy your favourite songs. The headphones are very easy to carry. Well-fitting silicone ear tips are comfortable even for long-term use. The headphones also feature a built-in microphone and button control placed directly on the cable. Adapt your headphones to your active lifestyle - no more limitations. Bilateral (in both shells) Done! Driver diameter indicates the size of the diaphragm and influences to a great extent headphone sound quality. The-larger-the-better rule applies here. 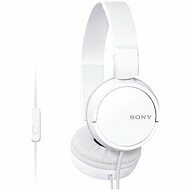 For shipping to other EU countries visit this page Sony MDR-EX110AP White. Für Versand nach Deutschland, besuchen Sie bitte Sony MDR-EX110AP weiß. Chcete doručit zboží do Česka? Prohlédněte si Sony MDR-EX110AP bílá. Chcete doručiť tovar na Slovensko? Prezrite si Sony MDR-EX110AP biele. Für Versand nach Österreich, besuchen Sie bitte Sony MDR-EX110AP weiß. Magyarországra történő kiszállításért tekintse meg ezt a termékoldalt: Sony MDR-EX110AP fehér.